By now, you may have had more than your share of heat, sun, and rowdy gatherings by the sea. In most of the world, summer doesn’t last forever – but it does in the Caribbean! Give it eight weeks and you may find yourself back under severe vitamin D deprivation, craving one last dip in the ocean, but surrounded by chilly winds and grey skies. 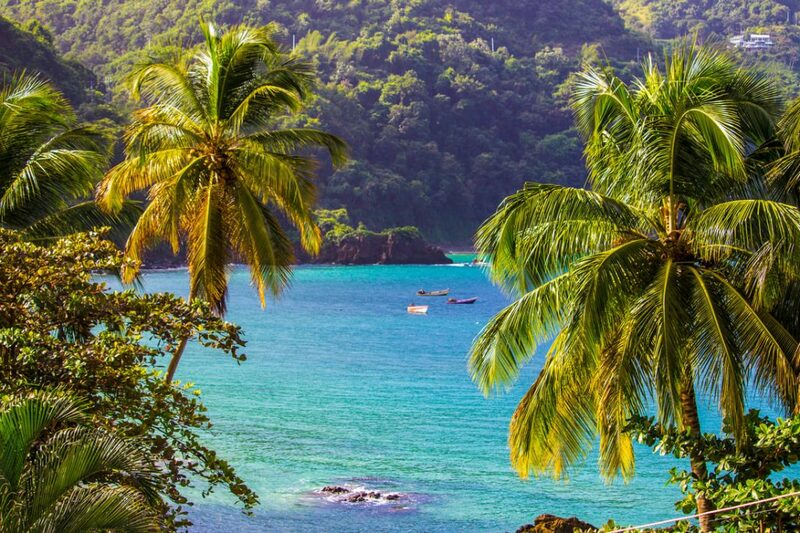 The minute you are ready to fly out looking for an off-season break, keep the best beaches in Trinidad and Tobago in mind: the twin island republic offers a uniquely versatile blend of picturesque relaxation, eager joie de vivre, and unusual East Indian flavors with Afro Caribbean toppings. If you are the kind that likes to keep their options open, you will find Trinidad and Tobago to be unusually full of possibilities for less than two thousand square miles and less than 1.5 million people. Trinidad & Tobago is the southernmost republic in the Caribbean, just a few miles north of Venezuela. Blessed with mineral riches and a unique history, the islands have managed to keep a distinct identity from that of the rest of the region and from each other. The larger half of the combo, Trinidad, is first and foremost an industrial and economic center thanks to its large oil, gas, and asphalt reserves. It also houses the country’s capital (Port of Spain) as well as most of the population. Its closeness to the South American mainland placed the island under Spanish rule first, and was then populated by a mix of French settlers, British rulers, African slaves, East Indian indentured workers, Chinese immigrants, and Syrian emigres. It also placed it just outside the hurricane belt, protecting it from natural disasters – which allowed the island to develop rapidly into the third-richest country in the Americas. And despite the beauty of its Northern beaches and untapped potential of its bird-sighting tours, the island does not rely on tourism, which is a blessing for those seeking a more authentic and welcoming experience than the one provided by all-inclusive resorts and condo enclaves. Located 21 miles north of Trinidad, Tobago is much smaller and quiet, despite its much more warlike history. Only 50 thousand people live here, which has fostered a strong sense of identity in Tobagonians – the whole island often feels like one large, friendly village. In colonial times, the island was considered a strategic point to control pirate routes and maritime trade, so it changed hands continuously – the Spanish, Dutch, British, French, and Courlanders (Latvians) all held it at several points, sometimes even twice in the same year. There are seven colonial forts hidden around the island, and history nerds can always give up one day of beach leisure for the chance to visit them all. The South-west half of the island, known as the Lowlands, was a good place to settle, fortify, and build on. The island’s only city, Scarborough, is located there, as are most of the islands large hotel operations, shopping centers, and night life. Meanwhile, the hilly North-eastern half had a myriad islets, coves, and bays that were once perfect to house rum-smuggling operations and now offer boutique hotels, family-owned inns, and idyllic isolated villages. The country’s largest airport, Piarco International Airport, is located in Trinidad, 15 minutes away from the capital. Piarco International has daily flights arriving from the U.S., the U.K., Panama City, and the rest of the Caribbean. It also has a very busy “air bridge” connecting both islands – flights to Tobago leave on average every couple of hours, and last 15 minutes. Tobago has its own air terminal, A.N.R. International Airport. In addition to the ever-frequent flights to Trinidad, Tobago’s airport also receives direct commercial flights from the U.K. and charter flights from Continental Europe. Both Scarborough and Port of Spain also have ferry terminals, with up to five sailings a day. Reaching Tobago by sea takes longer than by air, naturally, but offers the opportunity to drive the same car on both islands, as well as beautiful sights for those who don’t get seasick. Between the plane, ferry, water taxi service (connecting North Trinidad with South Trinidad) and relatively good main roads, you will have a myriad beaches at your disposal. These are just the top ten most beautiful and best-served ones. If you run a Google image search for “beach in Trinidad”, chances are the first picture you’ll see will be either Maracas Bay itself or the lookout point just above it. This beach is located on the island’s north coast, 20 minutes north-east of Port of Spain, tucked away behind the lush vegetation of the Northern Range hills. 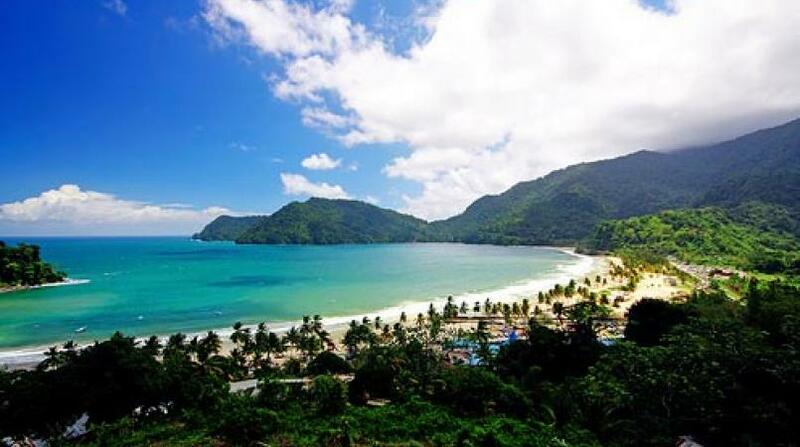 Maracas Bay features a number of excellent beaches, including the wonderful Tyrico Bay Beach, which is well worth a visit too. Thanks to its fame, Maracas Beach is well-served by food stalls, changing rooms (currently undergoing renovation), and secured parking year-round. The quintessential lunch on Maracas Beach has traditionally been bake and shark: a freshly-caught fried shark sandwich topped with fresh veggies and pineapple. However, due to sustainability reasons, shark has now been replaced by lion fish: it’s more abundant and tastes just as good. During the day – and until approximately 4 or 5 PM – it is a great spot for those with kids or teens around: the beach itself is wide enough to allow for a family volleyball or cricket game. Banana boats and body boards are also available for rental. As the evening cools down, the vibe warms up a bit: especially during Carnival season, you are bound to find people enjoying a few beers around the food stalls, and dancing to the lively soca music that the locals favor. Just ten minutes after Maracas beach, further east on the same serpentine road, is Las Cuevas Bay. Located on the north coast, this Trinidad & Tobago beach is slightly smaller than the more famous Maracas, but it enjoys calmer waters and a more peaceful atmosphere. This popular beach is named after the caves and rock formations surrounding it, which hide odd flowers, birds, and inconspicuous pools for those who are willing to explore. Las Cuevas Beach is the island’s first certified Blue Flag Beach, so expect stricter rules than in Maracas – there are many local initiatives to preserve its water quality and surrounding environment. There are fewer food stalls in Las Cuevas Bay than in Maracas: while you are still likely to get bake and lionfish or deep fried shrimp, you may want to pack some fruit and snacks of your own. 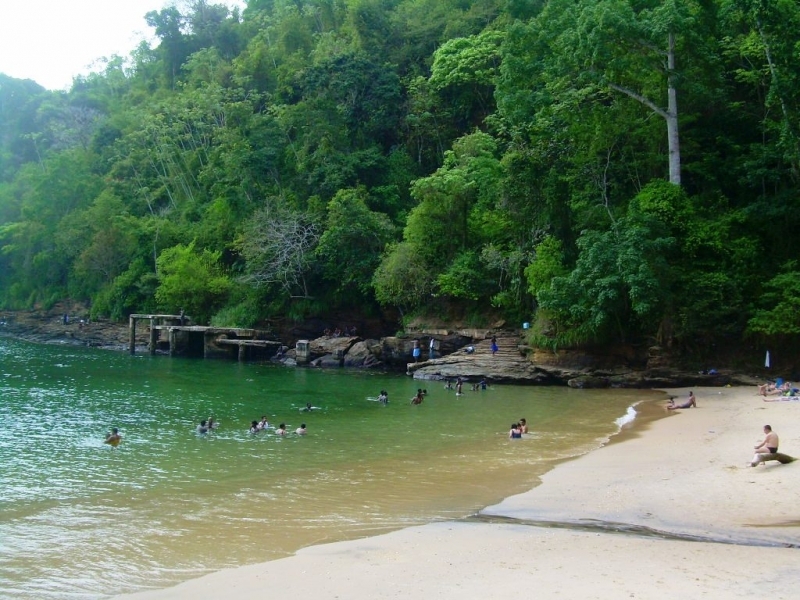 West of Port of Spain, and much closer to the city’s top shopping centers and residential areas, is Macqueripe beach. This beach used to be a private club for American military officers stationed on the island’s Satellite Tracking Station or its adjacent military base. It’s a very small bay and the sand strip is rather narrower, but it enjoys very calm and cool waters. As it is surrounded by thick forest, the beach remains breezy and partially shaded even at noon. The old club has been turned into a beach facility, open to the public for a small fee. If you are looking for an extra thrill, or a “beach plus” experience, you can zipline your way down into Macqueripe, or rent a bike and explore the hiking trails around the now unoccupied military base. Unfortunately, its size and closeness to the city tends to overcrowd it on weekends and holidays. If you are in Trinidad on leisure, you can always head there on any quiet Tuesday or Wednesday. Most of best beaches in Trinidad are located in its north coast and northeast coast, which opens straight into the crystal-blue waters of the Caribbean Sea. The island’s Southside, on the other hand, opens into the Atlantic Ocean and has remained a secret from prying foreign eyes. 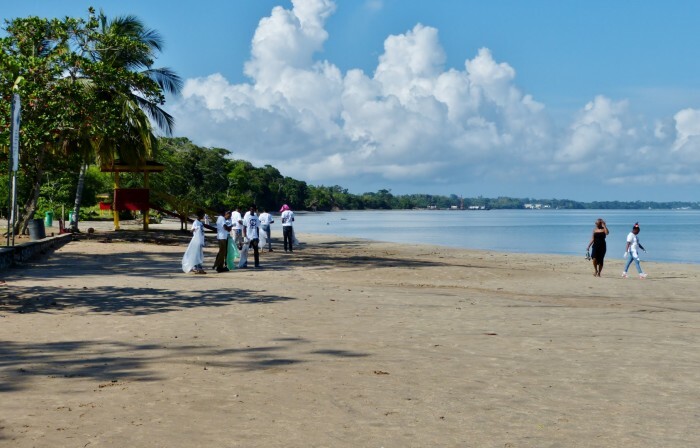 Traditionally more rural, South Trinidad has been transformed over the last few decades thanks to the influx of oil money and offshore workers alike: San Fernando and Point Fortin are now bustling cosmopolitan towns with their own favorite spots, such as Vessigny Beach. If you’ve ever felt curious about the real vibe that hides in the Caribbean, away from the hotels and cruises, Vessigny is the place to explore. 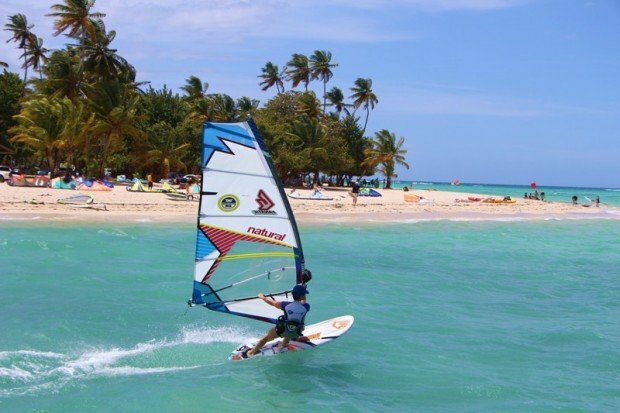 Located right next to an old fishing village, within eyesight of Venezuela, Vessigny has a brand new, well-served beach facility, steady westbound winds, and calm waters, which make it a great spot for beginner windsurfers. Although it is approximately one hour and a half from Port of Spain, it offers great freshly-caught seafood and the chance to sample South Trinidad’s Indian inspired cuisine. If you have access to a kitchen or are staying in a self-contained apartment, either buy some of the day-catch from the fishermen’s themselves on the way out, or try to fish it yourself. 5. Grande Riviere – TURTLES, and what else do you need? 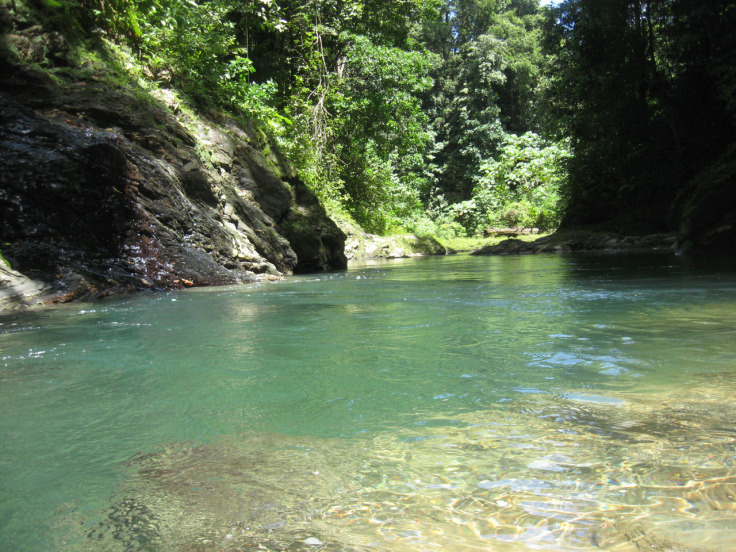 Make no mistake: both the beach of Grand Rivière itself, and nearby Matura river, which empties nearby, are beautiful and worth the drive to East Trinidad on their own. However, if you are visiting the island between March and August, then you want to come here at night instead: the beach is one of the largest nesting sites for Leatherback turtle species in the Caribbean, and this majestic creatures can often be seen swimming into the beach late at night to lay their eggs. Naturally, both the nesting areas and the turtles themselves are heavily protected. The beach itself is remote, and you should take great care not to accidentally step on the wrong mound of sand or disrupt the environment, since you don’t want to scare away the most important residents. If you are interested in turtle sightings, contact an eco-friendly sustainable tour operator and follow their instructions. 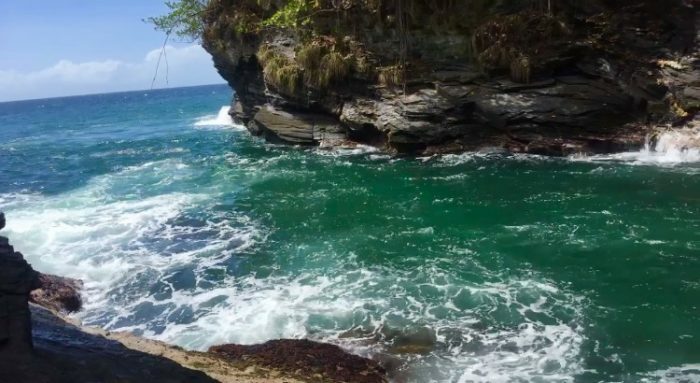 If you arrive in Tobago by air, Store Bay is likely to be the first beach you will see after leaving the airport – and local taxi drivers are likely to point it out while driving through Crown Point and the Lowlands. This is Tobago’s quintessential tourist district, surrounded by guest houses, large villas for rent, and countless dining and partying opportunities. It’s the most popular of the Trinidad-Tobago beaches. Store Bay itself is a lovely wonder when under-crowded, and irredeemably fun when full. Whether you only have half a day left, on the way back from some of its more secluded areas, or need a base of operations to do Tobago on a budget, Store Bay is a mandatory stop. The adjacent outdoors food court offers affordable drinks and Tobagonian cuisine specials, and you can easily rent an umbrella and a comfy stretcher to watch the day pass by. Or simply take off your shoes, get into the water and watch tiny fish go by on its transparent waters. This is also a great place to hire a tour or a private boat to the reef, Nylon Pool, and surrounding islets: someone will likely approach you offering boats for hire within minutes of arrival. Shop around a bit before booking anything: most tour operators will offer seemingly similar prices, but the price of optional on-boat services – which range from water to snorkeling equipment – can vary greatly. No Man’s Land is technically not a beach, but a large uninhabited strip of white sand and palm trees, located on the edge of the Buccoo Coral Reef. 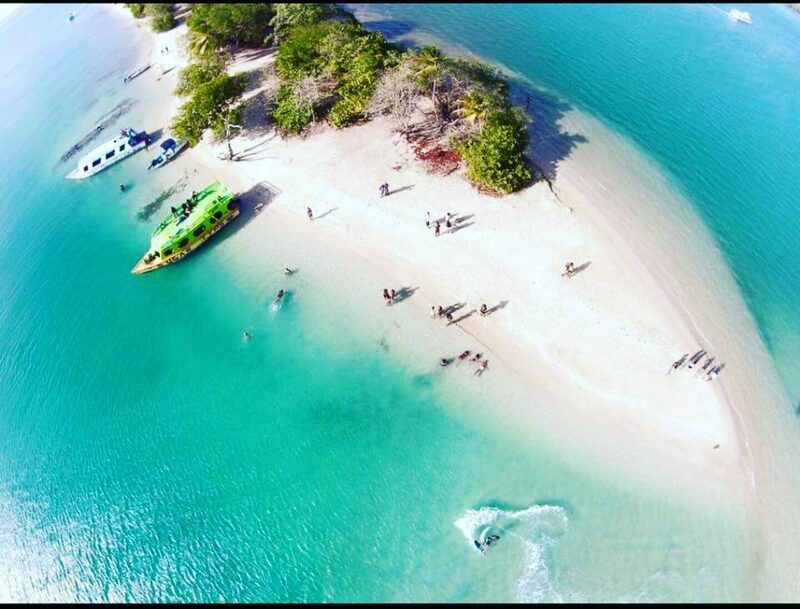 Most visitors to No Man’s Land come via Store Bay, as it is often the final stop on the popular “glass bottom” boat tours. Group travelers can even bring their own grill and have their own private BBQ here, provided they pick up after themselves. No Man’s Land should be enjoyed while it lasts – Sandals Resorts is currently negotiating a license to build a 750-room all-inclusive resort here. This will probably close it off to those who are looking to be kings of their own private island for one afternoon. Traveling with kids can sometimes be challenging – they have their fun, the grown-ups have their fun, and yet you need the young ones to stay nearby and safe. 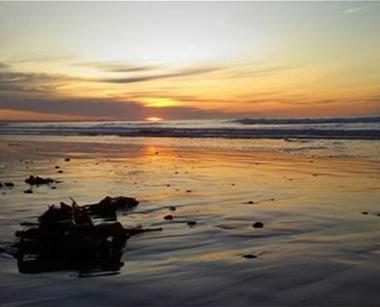 Pigeon Point Heritage Park offers a great solution here: the grounds encompass three beaches, restaurants, facilities, restrooms, BBQ grills, and a camping area. This is also one of the most popular beaches in Trinidad and Tobago for destination weddings; the Heritage Pavilion, which can be rented for private events, offers both open-air romantic sunset views and A/C indoors meeting rooms. The entrance to Pigeon Point is gated and there is an admission’s fee, which while not expensive, is enough to keep the place from overcrowding. Out of its three beaches, only two are for apt for swimming – the other one is used for windsurfing, kitesurfing and paddle boarding. There is a beach restaurant on-site, which offers a nicer dining experience than the food court at Store Bay, but you are free to pack your own picnic. Away from the bustle of the Lowlands, Tobago also has many hidden spots to cater to those looking for romantic getaways or simply to take a break from civilization. One of the best escapades is Castara Bay, an old fishing village that is now at the heart of a new sustainable, family-run boutique tourism wave. It is a bit far from the city, so be ready to stay there for a long weekend. With easy access to Englishman’s bay and other famous sites, Castara Bay is a great place to relax and unwind. Castara Bay is proud of striking the perfect balance between welcoming arms and an unobtrusive, traditional lifestyle. You won’t find any big hotels or pool villas here: littered amidst the local houses, they have comfortable, well-kept self-contained apartments and beach houses for rent, nestled between Castara Bay proper (or “big beach”) and the adjacent Heavenly Bay (or “small beach”), which is true to its name. 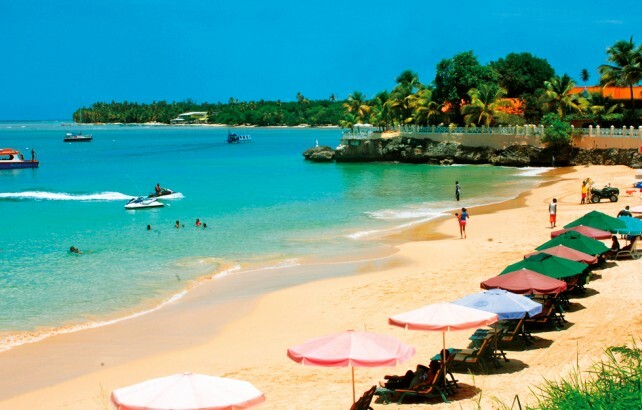 With Englishman’s Bay within easy reach too, Castara Bay offers easy access to the best examples of pristine Tobago beaches. There is also a small river and a hidden waterfall nearby: it’s a 20-minute trek and locals will be happy to point the way. Add a few small shops that sell the basic necessities, some family-run five-table restaurants that sell freshly caught grilled fish, and the chance to be the village’s guest: residents still gather most evenings around fruit stalls to gossip, and will include you if they feel you want to join. Chickens and hens run around backyards and the Big Beach, unchecked, but everyone seems to know who they belong to. Much like Trinidad, Tobago beaches have water sport opportunities galore, thanks to its two large reefs – Buccoo Reef in front of the Lowlands, close to Store Bay, and the Northern Reef in St John’s Parish. However, most of the diving and snorkeling sites around the Lowlands are purposely beginner friendly. 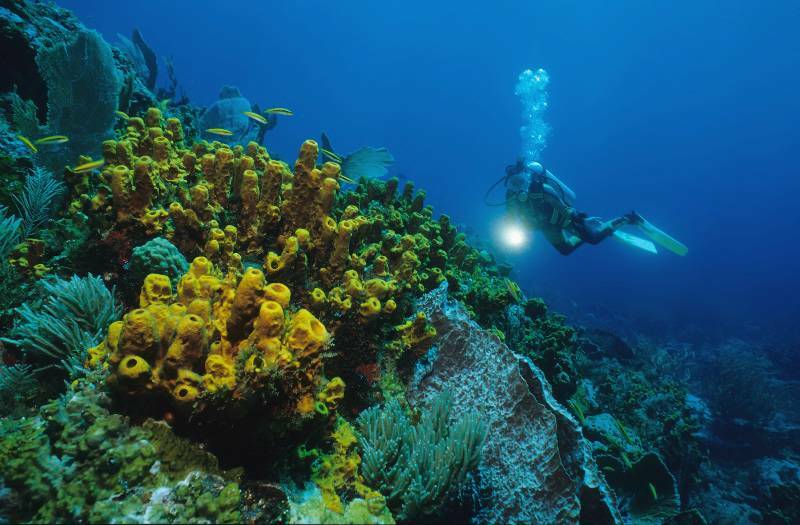 If you already know your business and want to skip the rushed group class, you can opt to head straight for Speyside village and explore the much better preserved reefs in between the bay and island of Little Tobago. The village has a large resort-like hotel as well as several independent beach apartments for rent. On the other hand, Little Tobago offers very rustic facilities only, but it’s great for a day-trip: its thick dry forest has turned it into a hub for birdwatchers, and it offers the chance for moderate and demanding hikes. It never hurts to do some research on your next destination – you never know what you may find out! These are some of the most frequently asked questions regarding travel in the Twin Island Republic. When is the best season to come? Although most people think of June to September as the universal “high season”, this is actually rainy season in the Caribbean. This can be especially bothersome in Trinidad, which has a much more humid climate. On the other hand, if you come between November and May, sunny skies and very high temperatures will be all but guaranteed. Tobago, on the other hand, tends to enjoy sporadic showers only and can be visited year round. If you want something extra for your beach getaway, consider Carnival and Tobago Jazz Festival: you may find more expensive hotel prices, but 10 times the opportunities to party. If you want to get away from the beach, Trinidad Carnival is the biggest in the Caribbean and usually takes place between February and March. Tobago Jazz Festival gathers some of the region’s top soca, reggae, dancehall, and jazz artistes and offers a week full of music and cocktails each April. How to stay safe in Trinidad and Tobago? Tobago has managed to keep a peaceful vibe throughout the rapid changes its society has experienced. Trinidad, on the other hand, has experienced major problems with crime, especially gang-related murders. Fortunately, these are confined to specific areas of the island where most visitors are unlikely to go. Nevertheless, the U.S. Embassy has issued a travel advisory asking people to stay away from East Port of Spain in general, the “Sea Lots” and Beetham areas, and Downtown Port of Spain and the inside of Queen’s Park Savannah after dark. Compare prices before you book anything. Avoid using ATMs after dark, or have someone you know go with you. For women: heckling, catcalls, and verbal street harassment are common in Trinidad and Tobago and can be uncomfortable but rarely escalate. Your best shot is to ignore them. If driving at night, don’t volunteer to help others you see casually stranded on the side of the road – especially outside of main roads. Where can I find an uncrowded beach in Trinidad & Tobago? The north coast of Trinidad is where most tourists visit on the island. If you’re looking for a more secluded experience, visit Trinidad’s east coast. The east coast is home to Mayaro Beach, which is a long stretch of gorgeous sandy beach. Mayaro beach is a great spot for swimming, kayaking, and kite surfing! Quiet Tobago beaches are easily found. 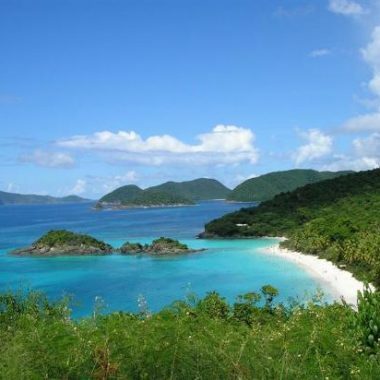 Englishman’s bay, Castara Bay, and Irvine Bay are all excellent beaches to relax and unwind on. What should I pack – or leave at home? Both Trinidad and the Tobago Lowlands have malls were you can probably buy anything you need – so don’t fret too much if you forget any of your beach essentials. However, do bring your international vaccination certificates: a yellow fever vaccine is mandatory. Also, leave any camouflage items – pants, printed t-shirts, backpacks, etc. – at home, as they are banned in Trinidad and Tobago and may be seized at the airport.